There are a lot of things no one tells you about pregnancy. 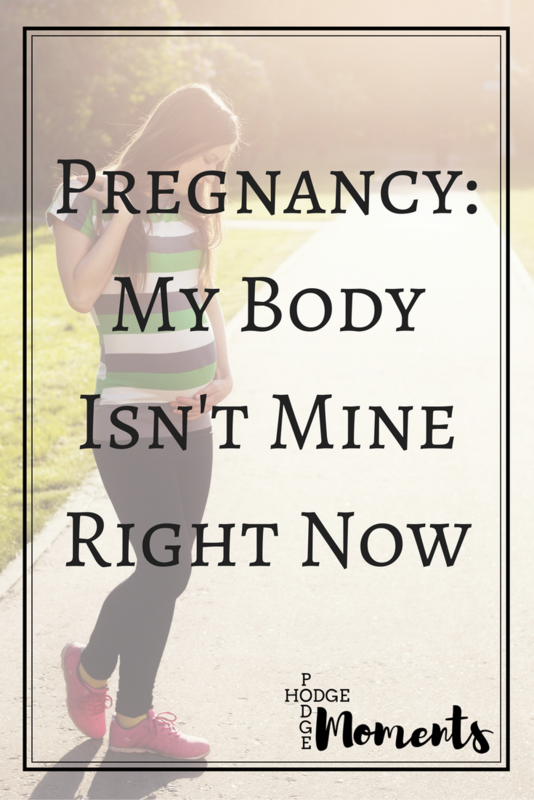 I could probably write an entire post about the things I’ve experienced and learned since becoming pregnant. I’m not going to though because I believe that post has already been done many times over. 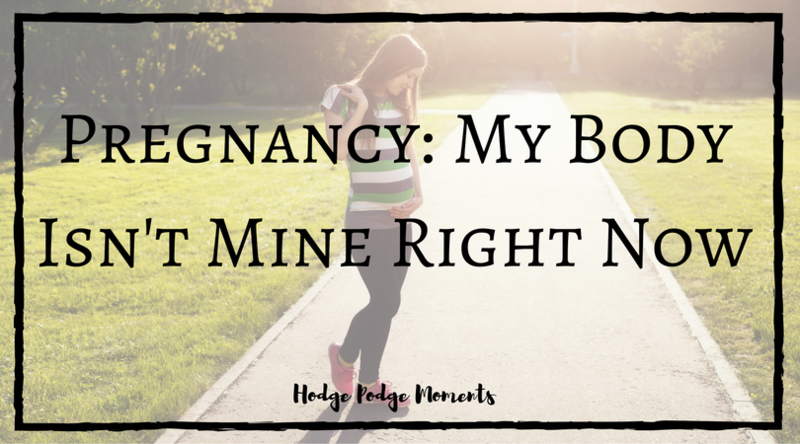 Instead, I’m going to focus on something I’ve had to deal with a lot lately – sharing my body with our growing baby and the hormones that have taken over. This post is going to be quite the personal post. So, if you don’t do personal or don’t want to know about what’s been going on lately, I suggest you keep moving and look through the archives for a less personal post. If you’re like me though and love raw moments from bloggers, then please stick around and I’ll update you on some things I’ve learned recently. I’ve always been pretty in tune with my body. In fact, I’ve even had doctors tell me that I seem to understand my body pretty well and what it needs when. Here lately though – I have no clue what my body is doing or how to help it. I’m going to back up to the beginning of the story and fill you in on some things I’ve had to come to terms with in the past couple of weeks. One of my levels came back out of range, which means my OB sent me over to take a class on nutrition at the diabetes clinic of the hospital. It takes two high levels (of four) for a gestational diabetes diagnosis but some doctors are cautious even with one high reading because it can progress into gestational diabetes later. The nurse went into a detailed explanation of why it changes as the pregnancy progresses but I’m not going to bore you with all of the details and the nifty chart. I scheduled my appointment with the nutritionist and it wasn’t going to be for almost two weeks so I set out to adjust my eating habits the best I could in the meantime. I’ve done a lot of nutrition research over the past year or so. So, it didn’t seem like a big deal – just eliminate some of the bad habits I had picked up during our move. I did this for two weeks and then I went in to see the nutritionist and learned that I had different adjustments that I needed to make – ones that I wasn’t used to making. The meal plan she presented to me was all about balance and making sure that I’m getting carbs throughout the day – as in six times throughout the day! This was sort of opposite of what I expected since carbs become sugar and that’s what my body is having trouble processing. After receiving this information, talking to a dietician and a nurse, and reading through all of the paperwork that I was given, I set out to make new changes. And let’s just say that’s where I’m at right now – making changes and adjusting to this new way of thinking. I see my OB again next week but my understanding is that I just have to watch my diet and adjust it accordingly. Since I wasn’t given a full blown gestational diabetes diagnosis, I don’t have to check my sugar levels frequently. The nurse at the diabetes center suggested still checking them occasionally and that’s what I’ve been doing. I’m a believer in being cautious when you can. If you’ve been following my Abs & Anchors account on Instagram or Facebook, you’ll notice that my food choices lately have looked a lot different from in the past. You’ll also notice that I sometimes label foods with protein, carbs, and veggies. That’s because those are the three areas I need to be focusing on the most right now. Creating a balance between these three is what helps keep my blood sugar in the right range – along with getting lots of water and moderate exercise (even a walk helps). This is a system that’s entirely new to me and I’m having a tricky time wrapping my brain around it. I’m not supposed to avoid carbs – in fact, I’m supposed to include them a lot – but I am supposed to limit them and pick and choose which ones I let into my life right now. That’s where you’ll see that a lot of my carb choices are still whole grains and fruits as much as possible. There are technically carbs in everything – yes, even your super healthy vegetables – however, I’m only supposed to count them when they come from certain food groups. (Yes, we went over the my plate page that I’ve taught to my students before. Ours looked a little different from the one on the website though.) I don’t have to count meats (including proteins such as cheese and nuts) or vegetables when it comes to carbohydrates. They count as “protein” or “vegetables.” I do have to count the carbs in fruit, starches, grains, milk, yogurt, and sweets. These are the ones that can cause major changes in my blood sugar. Fats, such as butter and oils, were mentioned but not to the same extent as these other categories so I’m focusing less on them. (We also don’t overuse these items on a normal basis, which helps.) This is why you’ll see me labeling things in a slightly different manner on my photo shares. I’m also supposed to be eating three small meals and three small snacks a day. This is where I’m struggling because I don’t have a big appetite, so remembering to eat frequently is actually a challenge for me. I’m going to be setting alarms for my meals starting tomorrow to see if that helps me remember to eat. I am making changes and getting rid of some of the bad habits I acquired during our stressful summer/fall filled with life changes and moving. I plan to do more updates in the future regarding what I learn because I feel that gestational diabetes sometimes gets a bad reputation. It took my nurse telling me that pregnancy hormones is to blame for this imbalance for me to stop blaming myself. Eating well can help but it is not an effective preventative measure since this is all related to how the body responds to pregnancy. Any questions? Comments? Personal stories to share? I’d love to hear them in the comments below! Like I said, I’m still figuring it all out but wanted to share my story with you! If you’d like to take some actionable steps at improving your own habits, check out my free 12 Days of Fitmas event! The event will take place from December 5 – 16 and we’ll be focusing on small changes that lead to big changes! Movement? All the time. He almost always starts moving when his daddy’s hand is on my belly. It’s like they already have a connection growing! Maternity Clothes? Yep! Rearranged my closet to make it maternity friendly. Stretch Marks? I think yes but husband says no. We’ll see. Cravings? Still craving sweets here and there but not as strong. I’ve found healthier alternatives to help with the craving. Ghirardelli dark chocolate chips anyone? Symptoms? Growing pains – he likes to sit right beneath my ribs which is quite painful. Mood? Less stressed than last week luckily. What are you missing? I miss being able to understand my body and how it reacts to things. Highlight of the week? The husband was home for Thanksgiving. Looking forward to? Taking a road trip in December.